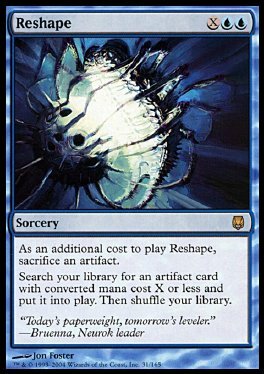 As an additional cost to play Reshape, sacrifice an artifact. Search your library for an artifact card with converted mana cost X or less and put it into play. Then shuffle your library.